Announcing David Gregory as Closing General Session Speaker! 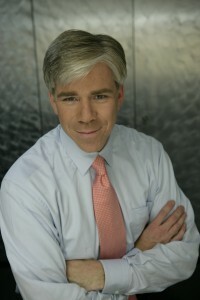 David Gregory, moderator of NBC’s Meet the Press, will be the keynote speaker for NECA’s Closing General Session. Gregory will replace Bob Schieffer, who has been called away on assignment. Gregory’s ability to get the real story while staying connected the people behind the news makes him an excellent choice as NECA’s closing general session speaker. At the Closing General Session, he will speak candidly about covering the most powerful office in the world, and talk openly about the role of the popular media, its reputation, and its responsibilities as a form of mass communication. In his role as moderator of Meet the Press, Gregory helms the longest-running television series in American broadcasting history. Meet the Press is consistently the highest-rated of the Sunday morning talk shows frequented by elected officials and policymakers. Gregory’s interviews go beyond the standing talking points into a robust discussion of actions, possibilities and consequences. Through terror attacks, two wars, presidential campaigns, policy debates, Supreme Court nominations, and a historic leak investigation, Gregory has earned a reputation for being one of the toughest interrogators of President Bush and press secretaries Scott McClellan and Tony Snow. His reputation has earned him the nickname the “firebrand in the front row,” as well as the distinction of being one of Washington’s 50 best and most influential journalists by Washingtonian magazine. In the fall of 2005, Gregory became a frequent substitute for Matt Lauer on Today. He has anchored the weekend editions of Nightly News and Today. As a political commentator, he can often be seen and heard on the Chris Matthews Show and Hardball. You won’t want to miss David Gregory as NECA’s Closing General Session speaker! New Keynote Speaker for Women In NECA Roundtable! Women In NECA are delighted to announce that Diane Brown, Vice President of Organizational Development for Thom The Roundtable is scheduled for Monday, Oct. 14, from 2-4 p.m. and all women attending the convention and trade show are invited to attend. Diane Brown is known for providing steady leadership and innovative support for the company’s employees. She works primarily in human resources, but Diane is always thinking about the next generation of electrical workers and how to develop their talents. She has been at T&B for almost 25 years and has spent roughly half of her tenure there in manufacturing or distribution operations in HR and the remainder in T&B’s corporate office in Memphis as the HR leader in several of their businesses. Diane now has responsibility for a variety of HR-related services including leadership and employee development, talent and succession planning, talent acquisition, internal communication, HR technology and community relations. Diane has spoken extensively on how women can develop their leadership skills in the electrical industry, including the National Association of Electrical Instructors Women in Industry Forum and the NAED Women in Industry Bootcamp. She also worked with Rutgers University and the University of Memphis to launch a new executive training program called AmpUp – Accelerating Management Performance University Program, an eight-month program focused on building deep, integrated but practice business skills while enhancing the participants’ executive presence and managerial confidence. She also serves as a director for Healthy Memphis. Diane previously worked in human resources the financial services industry prior to relocating to Memphis and joining American Electric, which was acquired by T&B in 1992. Diane is the mother of two adult children who live in Memphis and grandmother of six – a granddaughter, a grandson, and four grand dogs. Get your copy of 101 Code Questions Of The Day and meet Code-guru Charlie Trout at the NECA Booth! Charles M. “Charlie” Trout has for many years distinguished himself as the premier source of National Electrical Code knowledge for thousands within our industry. Charlie is now concluding his service on NECA’s Codes and Standards Committee and his involvement in the NEC code-making process. 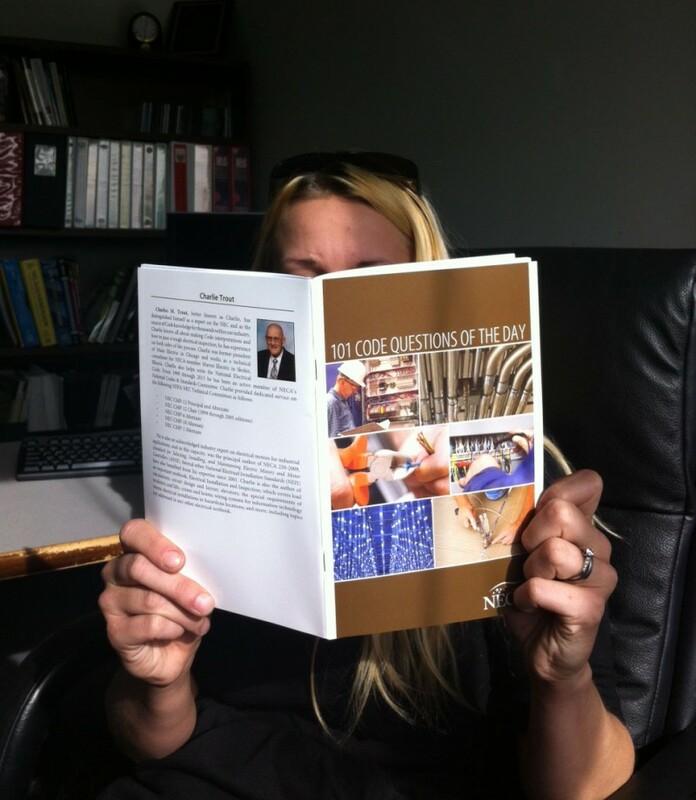 Charlie had reached thousands of participants in the electrical industry as the author of NECA’s popular Code Question of the Day. To recognize Charlie for his many contributions, NECA has compiled 101 of Charlie’s best Code questions and classic responses from the past two years into a special booklet that will be distributed during Charlie’s guest appearances at the NECA booth during the 2013 NECA Convention in Washington, D.C. Please stop by to thank Charlie for all he’s done to improve industry understanding of the Code! To receive a guest pass for FREE admission to the 2013 NECA Show and your chance to meet Charlie Trout at the NECA Booth, go to blog.necaconvention.org. It’s Not Too Late to Add a Pre-Convention Workshop to Your Registration! Kudos to you for taking full advantage of the education and special opportunities available at NECA 2013 Washington DC! It’s easy to add a pre-convention workshop, Energy Forum or Safety Forum, additional Opening Reception tickets or a tour to your existing registration. Pre-convention workshops run Friday, Oct. 11 through Saturday, Oct. 12, and local tours are scheduled throughout NECA 2013 Washington DC. You can easily add pre-convention workshops and tours to your existing registration online or call Katie at 301-215-4506 for help. 2. Scroll down to “Already Registered?” You will be prompted to enter the confirmation number and email address included in your registration confirmation you should have received by email. Click “Resend Your Confirmation” if you can’t locate your original confirmation email. 3. Click “Review or Change Your Registration.” Your registration contact information will be displayed. 4. Click through the pages until you reach “Pre-Conference Workshops.” Select any workshops you would like to add to your registration. Please note that not all workshops may be available at this time; class size may have maxed out, or the class may have been cancelled. 5. Click through the pages to see if you need to update any other information. The cart at the top of the page will display any items you have added. 6. Click “Update Registration” once you’re finishing reviewing. You will receive an email confirmation of your additional registration items and billing information. Well, if you’re a NECA member who wants a great educational value without a lot of time away from the office, then a NECA 2013 Washington DC Weekend Package could be the best choice for you. 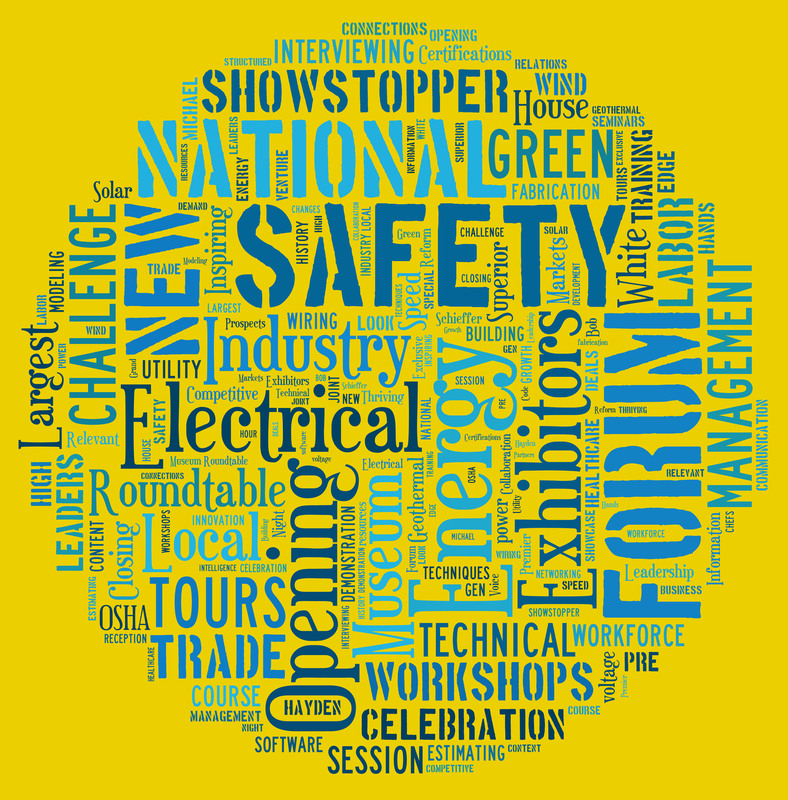 Decide what’s in your weekend from two package options, which can be customized with either registration for the Energy Forum or the Safety Forum, along with Sunday, Oct. 13 management seminars, trade show admission and the Opening General Session. You decide if you’d like to include the grand Opening Reception, A Night at the Museum, on Saturday, Oct. 12. Package #1 & #2 both include the Energy Forum OR Safety Forum, Sunday General Session, Sunday Management Seminars, Sunday Trade Show with Lunch and Prize Drawing Tickets, Sunday Technical Workshops and Showstopper Showcase. Package #1 Also includes the Saturday evening Opening Reception. Early Registration Closes Tuesday, Sept. 10! There’s less than one week to save on your registration for NECA 2013 Washington DC! The NECA annual convention and tradeshow brings together all the best aspects of NECA in one location, once a year. NECA 2013 Washington, DC will also showcase for one of the association’s key benefits – the ability to grow electrical contractors’ businesses. 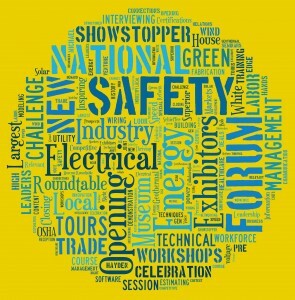 Today, all electrical contractors want to strengthen their companies. Successful ones make the annual NECA convention and trade show a part of their business development plans. So register today and save while there’s still time! Remember, first-time attendees also receive a $100 discount as well! Our weekend pages are a great time- and money-saving option, too.